Eitan s Israel’s greatest footballer. He has fans, friends and fame… but time is running out for Eitan and, as his last game draws near, he finds the fans and friends are deserting him for new, younger heroes. Eitan prepares to throw his last match in return for a financial pay-off. 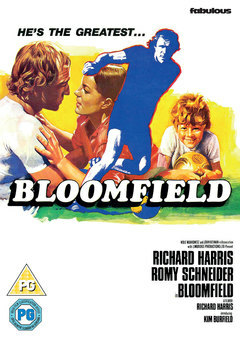 He wrestles with his conscience… but Nimrod, the small boy who idolises him and Nira, the girl who loves him, go to Bloomfield Stadium for the final game knowing there is another, harder question to be answered. Can Etian with age and old injuries against him, win even if he wants to? Richard Harris is Etian, Romy Schneidger plays Nira and Kim Burfield is the young fan, Nimrod, in a drama which combines the passions of football with a heart-warming conflict of human emotions.